Adam Weiner of Low Cut Connie on The Sonic Bloom this Tuesday! 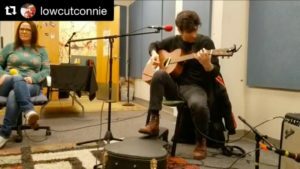 Adam Weiner of Low Cut Connie came in to the WPRB studio, joining DJ Esoterica on a crisp December Saturday, bringing his guitar and singing some songs off of LCC’s 2018 album, “Dirty Pictures, Pt. 2”. Esoterica and Adam spoke about his upbringing in south Jersey, his time in New York as a performance artist and acting student, and that pivotal moment at age 18 when he bought a scalped ticket to a Tom Waits show. Esoterica asked him about his beloved upright piano, Shondra, who is currently in the shop, and the good fortune LCC has been enjoying in recent years. Tune in to Esoterica’s show, The Sonic Bloom, or simply stream @wprb, Tuesday 12/11 at 2 p.m. EST! Jon Solomon’s 30th-annual edition of the Holiday Radio Show! A special 30 hour marathon (!!! 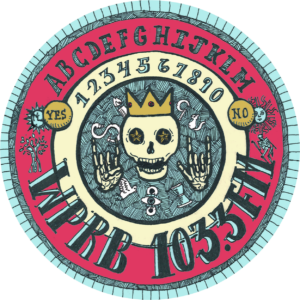 ), celebrating three decades of Christmas broadcasts on 103.3 fm WPRB. This year’s epic journey begins on Monday, December 24 at 3:00 PM ET and runs all the way until Tuesday, December 25 at 9:00 PM ET. A cavalcade of never-before-played pieces and original stories/songs recorded specifically for the program are in store come Christmas Eve 2018, not to mention all your past favorites. The All-Ramones-inspired set at 12:34 am ET sharp! The all-Misfits-inspired set at 1:38 pm ET! The All-Fall and All-Joel RL Phelps Xmas sets down the stretch! Snaildartha: The Story of Jerry The Christmas Snail! Lindstrom’s 40:00+ Little Drummer Boy! The Sonics, The Wailers, and The Galaxies plus other traditions within the tradition. If you would like to make requests or send submissions, by all means get in touch. The webcam and Live Listener Chat are embedded below. Click to open in a new window. Independent radio is on the rise. I know – hard to believe, right? New technologies and media outlets are popping up all around us every day, and yet, the communities that support independent radio around the country have only grown stronger. 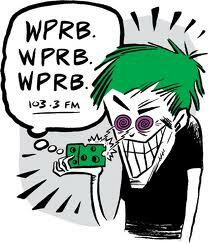 In an era of constant change and uncertainty, you (and the community around you) have refused to give up on the magic that emanates from local independent airwaves, and because of that, WPRB has never been in better shape to continue growing and engaging with its listeners. In the spring, we took a huge leap forward in our fundraising capabilities by introducing monthly sustaining pledge options. Now that we’ve established a budding assemblage of consistent support, new doors have begun to open up for us. We’ve done away with outdated technology (the kind that you’d find in your grandpa’s attic) in favor of digitized and reliable new systems for on-air announcements and media, minimizing the technical malfunctions and complications that have hindered our broadcasts in the past. We’ve also opened up room in the budget for more live shows, like the one we hosted earlier this month with big names like James Chance along with the local presence of Thin Lips, Sea Slug, and Human Adult Band. On top of all of this, our staff has grown steadily for the past few years, and we have a nearly unprecedented flock of new voices on the air this season. With your help, we’ve extended our dedication to local communities beyond just our airwaves and solidified the bridge between our dark, dusty basement and your very own backyard. As always, celebration of positive progress here at WPRB is short-lived and followed closely by ambition for whatever’s next. Your support continues to fuel our hard work to keep the station running and growing, and the most daunting task on the table right now is the digitization of our physical music library. WPRB is home to tens of thousands of vinyl records and CD’s, collected over the course of half a century, each with a handwritten review on its cover from one of the many DJ’s you’ve known and loved over the years. The library (or “the stacks”, as we call it) is the backbone of our erratic programming and curatorial wizardry, and it’s slowly but surely reaching its physical limitations, both in space and in longevity. Converting all of this media to a single digital repository requires heavy-duty technological resources and in-depth strategic research, not to mention hundreds of hours of elbow grease. 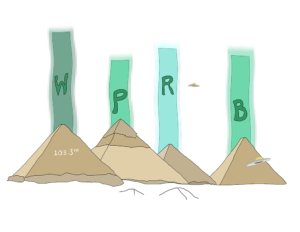 A project as monumental as this one requires support from each of WPRB’s most dedicated listeners, which is why we’re asking for your support again this fall to supplement our steady (and growing) monthly patronage. If you haven’t joined our family of monthly donors, now is the time! If you have, your additional one-time pledge or increased monthly patronage for this drive will help to push this crucial project forward even further. Monday, October 15th through Sunday, November 11th. You can make your tax-deductible pledge between the above dates by visiting pledge.wprb.com. 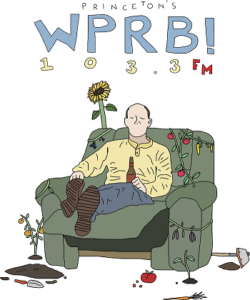 In return, our thank-you gifts this fall once again feature designs created by your fellow listeners and local artists, a reminder that every member of the WPRB family is an essential one. As we continue to grow and evolve as a station and as a community, more important to us than any dollar amount is your continued listenership to WPRB. More broadly, we hope you’ll continue to keep an open mind and an open ear to independent media, and keep seeking out the unheard. Attention local artists! 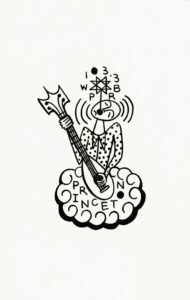 Ever feel the urge to doodle while listening to your favorite radio program or sketch some wacky independent-radio-inspired effigy that could totally be the next WPRB mascot? Get your art on our website, a t-shirt, or even on the next batch of stickers! WPRB is accepting art submissions now through August 31st. Details: Art should be scaled large (around 12” x 12”) and high resolution (300 dpi or higher). We prefer vector files, but high resolution .PNG or .PDF scans are acceptable as well. The art must include some representation our name, “WPRB 103.3 FM Princeton,” though it does not have to be a central component of the overall design. Compensation: As supporters of independent music and art, we at WPRB completely understand that you’d like to be compensated for your hard work. 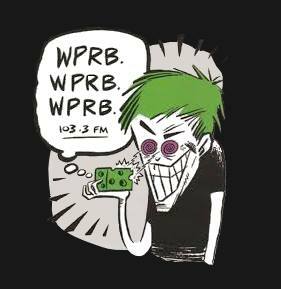 If we decide to use your art for our website or next batch of Membership Drive swag, we will send you a big ol’ pile of past WPRB swag and potentially the item your art was featured on! Please send all submissions and any questions to goodart@wprb.com. OK, stay with us here. This is going to be a bit of a ride. Here at WPRB, excellent eclectic radio happens every day. Once in a while, we send something particularly mind-melting flying out through the airwaves (and over the webstream) into your tiny human ears and decide to preserve it for generations to come. On our blog. What a jolly dude. Here at New Jersey’s Only Radio Station, we are most concerned with SOUND art and so SOUND art we shall provide. Listen to Abbie from Mars pay respect to our dude Kurt. The performance starts at 1:38, but start from the beginning to hear Abbie introduce the piece and contemplate getting into breakcore. Her performance is regal at times, nail-bitingly suspenseful at others. Let the sound poetry wash through your neurons and transcend that ol’ body of yours into a whole new realm of existence.